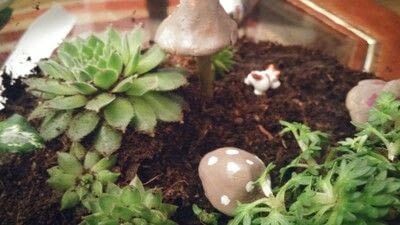 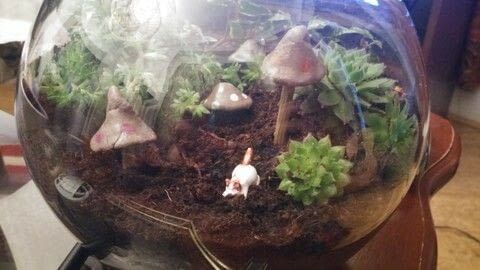 A miniature garden with a miniature cat! 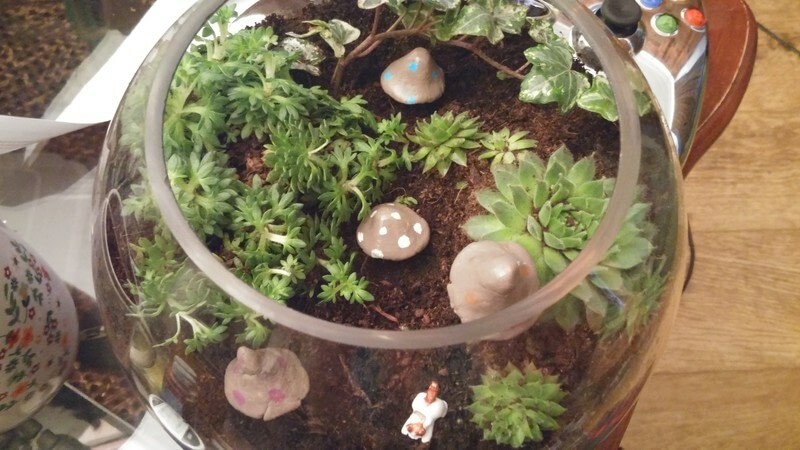 I wanted to make something nice for my mum for Christmas, and have always wanted to make a terrarium - it was as fun as I'd hoped! 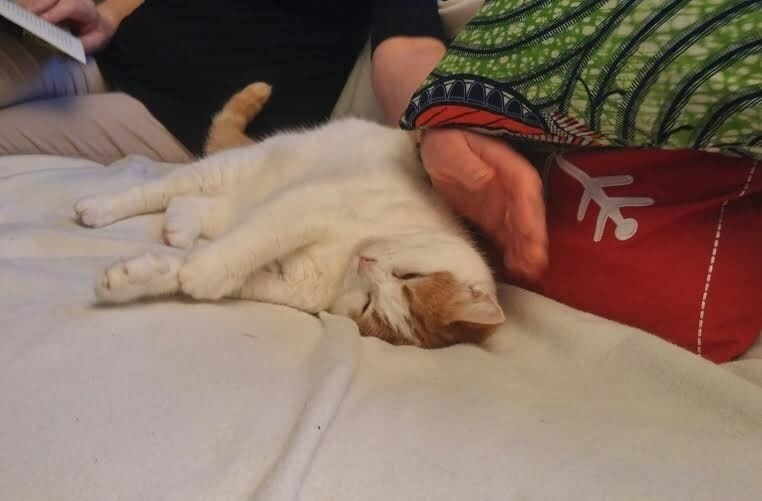 To make it extra special, I included a tiny cat figure painted like my mum's cat, Saskia. Pick out some nice plants that will look good and have similar light/watering requirements. 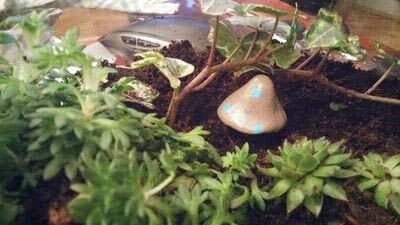 Cover it up with a layer of soil/compost, and carefully arrange the plants so they look good to you. 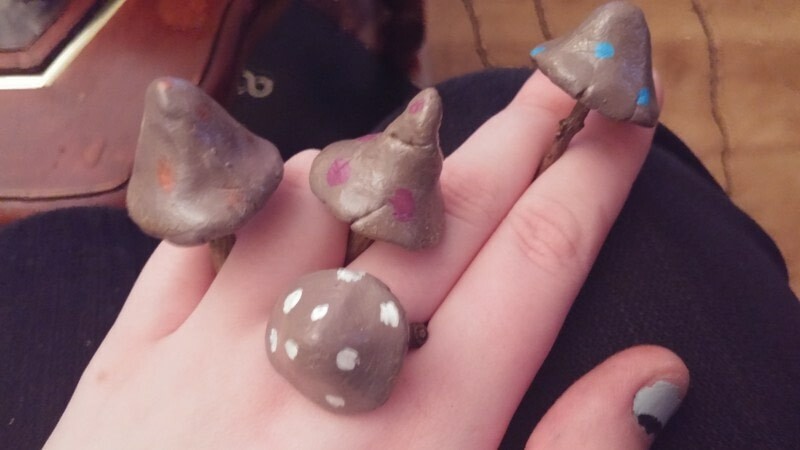 Add in extra bits - I put in these psychedelic mushrooms! And a little version of Saskia. 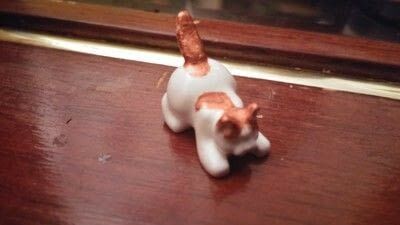 This was a plain white lego cat figure that I painted with ginger bits.